I wasn’t sure if I was going to make it all, as at the last minute I had to attend an assessment centre for a job that I had applied to. As soon as that was over, I practically ran to catch the tube, hoping that there would still be people around and maybe some fabric left! I needn’t have worried, the shops had not been ransacked – much! 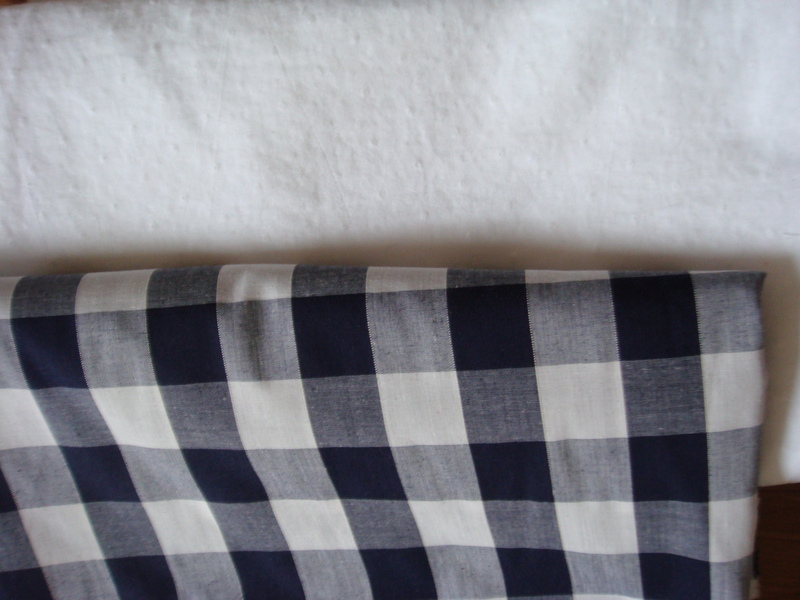 And despite getting there late, I still had plenty of time to find myself some lovely Swiss dotted cotton and a navy blue gingham polycotton. This is the first time I’ve met up with any fellow bloggers over the internet and it really was wonderful. Everybody was so lovely, friendly and happy! I loved spotting garments being worn that I had previously seen on blogs. The best bit, was getting to the pub and comparing purchases – I always love looking at what other people have bought and I can’t wait to see what everyone will make, isn’t it great how we all interpret patterns and use material so differently? What a great idea for a meet up!